A genuinely engaging video about Melanoma. Worth watching: hopefully it should challenge you on how much suntan lotion you use from now on! Here at MedRevise, we love giving stuff away! This month we have 3 cool items for our readers! In partnership with our excellent excellent sponsors – Elsevier, Pastest & Oxford University Press – we can offer one lucky winner a free copy of “Gray’s Anatomy for students“, another winner 6 months access to the Pastest Medical Student Online Revision, and another a copy of the “Oxford Handbook of Acute Medicine“. Gray’s Anatomy for Medical Students provides a unique coverage of surface anatomy, correlative diagnostic images, and clinical case studies demonstrate practical applications of anatomical concepts. And, an international advisory board, comprised of more than 100 instructors, ensures that the material is accurate, up to date, and easy to use. Pastest Medical Student Online Revision features 3271 exam theme questions in MTF, SBA, EMQ and OSCE formats, plus data interpretation, so there’s more than enough to keep your brain ticking over through the summer. The Oxford Handbook of Acute Medicine is a stalwart of doctoring in the UK. Copies can be seen on nearly every ward, and every doctor knows the familiarity of it concise helpful notes during an on cool. Win your own copy this month! 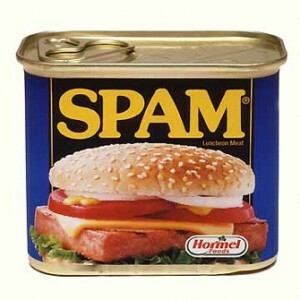 We’ve been having a lot of spam attacks, so we are upgrading to the latest version of the software that we use for MedRevise. There may be a couple of hours/days/years of downtime whilst we do this, so please be patient. In partnership with our excellent excellent sponsors – Pastest, Elsevier & Oxford University Press – we can offer one lucky winner 6 months access to the Pastest Medical Student Online Revision, another winner a free copy of “Kumar and Clarks Medical Management & Therapeutics” and another a copy of the “Oxford Handbook of Clinical Medicine“. Medical Management & Therapeutics is a synoptic guide to medical disorders accompanied by detailed information on evidence-based managements, guidelines, and therapy. Written by Kumar & Clark, editors of the definitive textbook Clinical Medicine, this latest addition to the family provides a seamless transition from the study to the practice of medicine. The Oxford Handbook of Clinical Medicine is a stalwart of doctoring in the UK. Copies can be seen on nearly every ward, and every doctor knows the familiarity of it concise helpful notes during an on cool. Win your own copy this month! Kris, who has won a 3 month membership of Elsevier’s Exam Consult with a comment on the blog. @Benjaminholden, who has won a copy of Pastest’s Data Interpretation for Medical Students with a retweet. For those of you who missed out, the good news is that you still have the opportunity to win every month – with a new competition being announced later this week. Exam Consult features more than 2000 exam questions, with both short and extended rationales to answers – linking to high-return content from Kumar and Clark’s Clinical Medicine, Davidson’s Principles and Practice of Medicine and the Crash Course series. Read more about it on the Elsevier site. 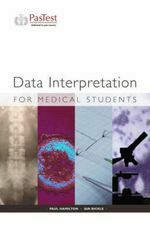 Data Interpretation for Medical Students, by Dr Ian Bickle and Dr Paul Hamilton, provides comprehensive practice of data interpretation questions, with systems-based chapters provide a wide variety of source material – ECGs, blood tests, radiographs – encompassing scenarios which undergraduates are likely to encounter. This competition is now closed. Check out the front of the blog for the latest competition! Our April competition has ended, and with around 50 entries, the winner is Efhap (who commented on the blog)! You have won a 6 month membership of Pastest’s Medical Student Revision, and we have sent you an email about it. 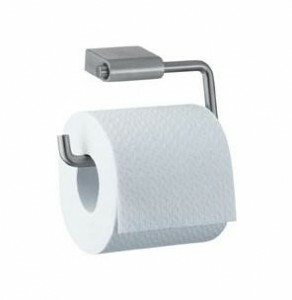 Also coming later this week is another article looking at the medical evidence for a common task: wiping your bum! 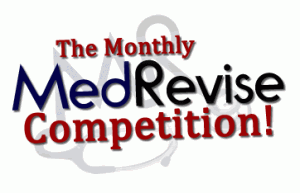 Here at MedRevise, we are very excited to be able to offer you a new monthly competition! In partnership with one of our excellent sponsors – Pastest – we can offer one lucky winner a 6 month subscription to the Pastest Medical Student Online Revision. Featuring 3271 exam theme questions in MTF, SBA, EMQ and OSCE formats, plus data interpretations, there’s more than enough to keep your brain ticking over, especially as finals loom closer and closer. Before I talk about our changes with advertising, let me just tell you about how we’ve changed since we started. We started in bonny 2005 as a fixed page revision website, with some basic anatomy and physiology notes. A year later, we took the jump to a wiki, allowing others to contribute. At the time, I was pretty much our only visitor, and a few other from Sheffield Medical School. Jump forward 6 years. We now have 1,750+ articles, over 450 registered contributors, and around 16,000 visitors a month, viewing a total of more than 100,000 pages between them! That’s someone loading a page every 23 seconds. When you search “medical revision” on Google, we are top. Things have changed a little since 2005. As a result, we have had to upgrade our hosting a few times (we get our web hosting from Salt and Light Solutions), and there is a lot of time and energy put into the site by a fair few, already rather busy people. To try and meet these costs, whilst remaining a free, non profit website, this year we started providing advertising. Thanks to Pastest and Elsevier who have taken us up on this – it has been supportive, and has given us an opportunity to provide special offers to our visitors too! 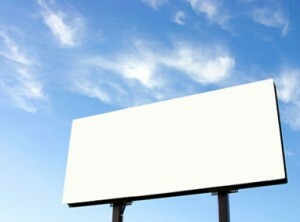 Top bar – The top bar will read “MedRevise, sponsored by Your Business” (advert size 415×53). Top side bar – Have one of our new, larger (140×140) adverts, visible above the twitter tool bar. Bottom side bar – Have a smaller advert (140×75), shown below the twitter bar, on the right. Bottom side text – Get your business linked to, with the text of your choice, underneath the adverts.